My bike is getting more tricked out by the day. It already has the rack on the back, the basket, and a fancy paint job, but now I'm thinkin' it needs a vibrating bike seat. Pause. Think about it. Vibrating. 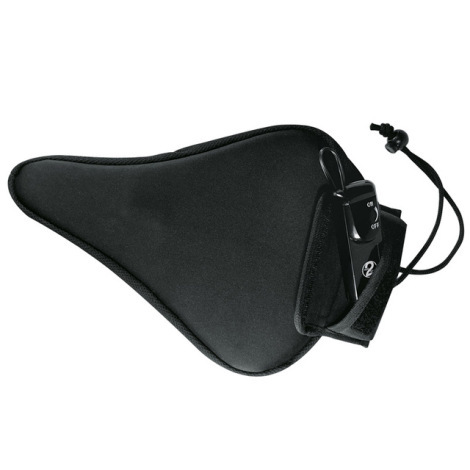 Bike seat. For about $43, you can be riding around in an all new comfort that you've probably thought of, but never looked into further. It could probably be kinda dangerous to ride around with this along roads or places with traffic, but I say to do whatever your heart [or, ya know] desires. You're welcome for introducing you to new things you can try. PS: Look at the picture that's associated with this story... BAHAHA.